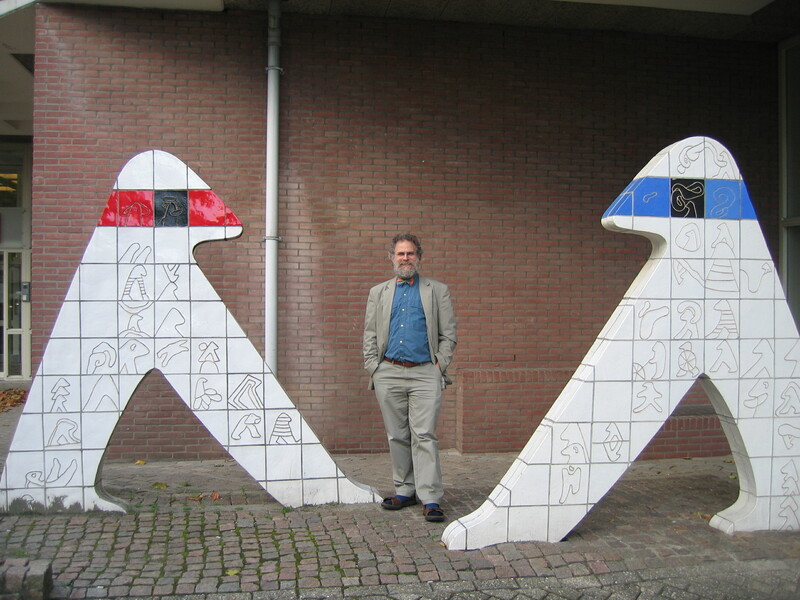 Philip Wadler Visiting CWI Amsterdam Read the reviews! Interested in applying for a PhD or Internship? From Data Types to Session Types: A Basis for Concurrency and Distribution, an EPSRC Programme Grant, joint with Simon Gay, Glasgow, and Nobuko Yoshida, Imperial. TypeScript: The Next Generation funded by a Microsoft Research PhD Scholarship. Centre for Doctoral Training in Pervasive Parallelism, studentships available for cohort starting September 2020. Journal of Financial Technology, member of editorial board. Please consider submitting. Our second issue will be a special issue devoted to formal methods. Professor of Theoretical Computer Science, Laboratory for Foundations of Computer Science, School of Informatics, University of Edinburgh (2003—). Senior Research Fellow, Area Leader Programming Languages, IOHK. ACM Special Interest Group on Programming Languages, Chair (2009–2012), Past Chair (2012–2015). Avaya Labs, Basking Ridge, Researcher (2000–2003). Bell Labs 1127, Lucent Technologies, Murray Hill, Researcher (1996–2000). Glasgow University, Professor (1993–1996), Reader (1990–1993), Lecturer (1987–1990). University of Sydney, Guest professor (Jan–Feb 1991). University of Copenhagen, Guest professor (Aug 1989). Chalmers Tekniska Högskola, Göteborg, Visiting Fellow (Sep 1986–Feb 1987). For details see my vita or short biography. IOHK School, Addis Ababa, 11—22 March 2019. Lecturer. IOHK Summit, Miami, 17—18 April 2019. Speaker. Melbourne University. 16 May. Speaker. Lecture series, Padova, 27—31 May 2019. Lecturer. BuzzConf, Buenos Aires, 12—14 June 2019. Keynote speaker. GPCE, Athens, 21—22 October 2019. Program committee. Concurrency. A recent result shows how to extend the Curry-Howard correspondence to session types. With Simon Gay and Nobuko Yoshida, I am leading the EPSRC programme grant From Data Types to Session Types: A Basis for Concurrency and Distribution (ABCD) (EPSRC). Agda. With Wen Kokke I coauthored the textbook, Programming Language Foundations in Agda. A paper describing the book appeared in SBMF 2018, and won the prize for best paper. Blame. The blame calculus, developed with Robby Findler, Jeremy Siek, and Amal Ahmed, integrates different type systems via casts. Casts may mediate between dynamic and static types, or between simple and dependent types. The key result is that when a cast fails, blame must lie on the less precise side of the cast. XML. I represented Avaya on the W3C XML Query working group, which designed XQuery a query language for XML. My work on XQuery was done in close collaboration with Jerome Simeon and Mary Fernandez, who have an implementation of XQuery called Galax. I ran a workshop on XML and Data Binding. I formerly served on the W3C XSL working group, and I wrote a simple formal model for pattern matching in XSLT. Java. With Gilad Bracha, Martin Odersky, and David Stoutamire, I designed GJ, an extension of Java that incorporates generic types. With Benjamin Pierce and Atsushi Igarashi, I designed Featherweight Java, a small formal model of Java, comparable in simplicity to lambda calculus. With Maurice Naftalin I wrote Java Generics and Collections, published by O'Rielly. Functional languages. I was a principal designer of Haskell. With Simon Marlow, I developed a type tool for Erlang. I am a founding member of IFIP WG 2.8 Functional Programming, and served as editor-in-chief of the Journal of Functional Programming. Logic and programming. I occasionally write and speak on the history of logic and programming languages, most recently a paper on Propositions as Types, which appeared in CACM and was presented at Strange Loop (video). At The Stand in Edinburgh, I performed a routine on Computability (video). SIGPLAN Distinguished Service Award, 2016. Fellow Royal Society of Edinburgh, 2005. Wolfon-Royal Society Research Merit Award, 2004–2009. EUSA Teaching Awards, Overall High Performer, runner up, 2009. Most Influential POPL Paper Award 2003 (for 1993), Imperative functional programming, by Simon Peyton Jones and Philip Wadler. POPL (and HOPL IV PC), Lisbon, 12—20 January 2019. ABCD, London, 17—18 December 2018. PI. Plutusfest, Edinburgh, 11 December 2018. Keynote speaker. SBMF, Salvador, 28—30 November 2018. Programming Language Foundation in Agda (key, pdf) and Panel Speaker (key, pdf). Hughes 60, Chalmers, Gothenburg, 17 October 201 (key, pdf). Strange Loop, St Louis, 27—28 September 2018. Categories for the Working Hacker (key, pdf). ICFP, St Louis, 23—29 September 2018. Member of ERC & attending. LambdUp, Prague, 13 September 2018. Keynote speaker. Curry On & ECOOP, 15—21 July 2018. Attending. WG2.8, Asilomar, 10—15 June 2018. Attending. 2nd Workshop on Trusted Smart Contracts (WTSC), 1—2 March 2018, Santa Barbara Beach Resort, Curacao. Programme committee. IOHK School, Barbados, 5—9 February 2018. University of Lisbon, 23 January 2018, pdf, pdf. IOHK annual meeting, Lisbon, 15—20 January 2018, video. Principles of Programming Languages (POPL), Los Angeles, 8—13 January 2018. Programme committe & coauthor of Refinement Reflection: Complete Verification with SMT. On sabbatical in Rio de Janeiro, 26 December 2017—11 July 2018. Google X, 16 November 2017. Quoted Domain-Specific Languages:	pdf. QCon San Francisco, 13—15 November 2017. Presenting Category Theory for the Working Hacker:	key, pdf. Apple Computer, 10 November 2017: key, pdf. International Conference on Functional Programming (ICFP), Oxford, 3—9 September 2017. Coauthor of Gradual Session Types & Theorems for Free for Free. Domain-Specific Language Design and Implementation (DSLDI), Vacouver, Sun 22 October 2017. Programme committee. Generative Programming: Concepts and Experience (GPCE), Vancouver, October 2017. Programme committee. Recent Advances in Concurrency and Logic (RADICAL), colocated with QONFEST, Berlin, 4 September 2017. Programme committee. WG 2.8 meeting, Edinburgh, Sunday 11--Friday 16 June 2017. Local host. QCon São Paulo, 24—26 April 2017. Presenting Theorems for Free, Blame for All. Strachey 100, 18—19 November 2016, Oxford. Speaker: pdf, keynote. Data Science CDT, 20 October 2016 (slides). Papers We Love, John Reynolds, Definitional Interpreters for Higher-Order Languages, 18 October 2016, Remote Meetup (slides pdf, slides key, links to papers, video). Lambda World, 1 October 2016, Cadiz. Keynote (slides). Programming Language Mentoring Workshop (PLMW), colocated with ICFP 18 September 2016, Nara. Speaker (slides). International Summer School on Metaprogramming, 8—12 August 2016, Cambridge. Lecturer (slides). Coherence Generalises Duality: a logical explanation of multiparty session types, Marco Carbone, Sam Lindley, Fabrizio Montesi, Carsten Schürmann, Philip Wadler, CONCUR, Quebec, August 2016. BETTY Summer School, 27 June—1 July 2016, Limassol, Cyprus; lecturer (slides1, slides2, paper1, paper2). Joy of Coding, 17 June 2016, De Doelen, Rotterdam; keynote speaker (slides pdf, video). Papers We Love, John Reynolds, Definitional Interpreters for Higher-Order Programming Languages, 7 June 2016, Skills Matter, London (slides pdf, slides key, links to papers, video). Stanford EE380, Palo Alto, 11 May 2016, Propositions as Types (slides). CHI, 7—12 May 2016, San Jose, SIG on Usability of Programming Languages (programminglanguageusability.com). Facebook, Mountain View, 5 May 2016, Everything old is new again (slides). IBM Watson, Yorktown, 2 May 2016, Everything old is new again, (slides). Paul Hudak Symposium, Yale, 29 April 2016; speaker (slides pdf, slides keynote). Everything old is new again, 25 April 2016, Chalmers, Gothenburg, Sweden, (slides). Wadlerfest 11—12 April 2016, Edinburgh (slides). LFCS30 13 April 2016, Edinburgh (slides). Colloquium Polaris, 25 February 2016, Lille; presenting Propositions as Types (cancelled). Lambda Days, 18—19 February 2016, Krakow; keynote speaker (slides). POPL and PEPM, 17—23 January 2016, St Petersberg, Florida; presenting Everything Old is New Again at PEPM. Propositions as Types, CACM, December 2015. Code Mesh, London, 2—4 November 2015; keynote speaker. Strange Loop, St Louis, 24—26 September 2015; presenting Propositions as types (video), Everything old is new again (video). ESSLLI, Barcelona, 3—7 Aug 2015, lecturer, presenting Propositions as Types. Summer School on DSL Design and Implementation, Lausanne, 12—17 July 2015, lecturer, presenting QDSL, video. Curry On, Prague, 6—10 July 2015, invited speaker, Curry On slides, video, DSLDI slides. PLDI, Portland, 15—17 June 2015, presenting Blame and coercion: Together again for the first time. Pervasive Parallelism CDT event, Edinburgh, 2—3 June 2015, keynote speaker. IFIP WG 2.8 (local arrangements), Kefalonia, 24—29 May 2015, member. SNAPL, Asilomar, 3—6 May 2015, member of program committee and presenting A complement to blame. Computability, The Stand, Edinburgh, 28 April 2015. POPL, Mumbai, 11—18 January 2015, external review committee. PlanBig, Dagstuhl, 14—19 December 2014. The Third International Conference on Parallel, Distributed and Grid Computing (PDGC), Himachal Pradesh, 11—13 December 2014, keynote speaker. Imperial College Computing Student Workshop, London, 25—26 September 2014, keynote speaker, video. 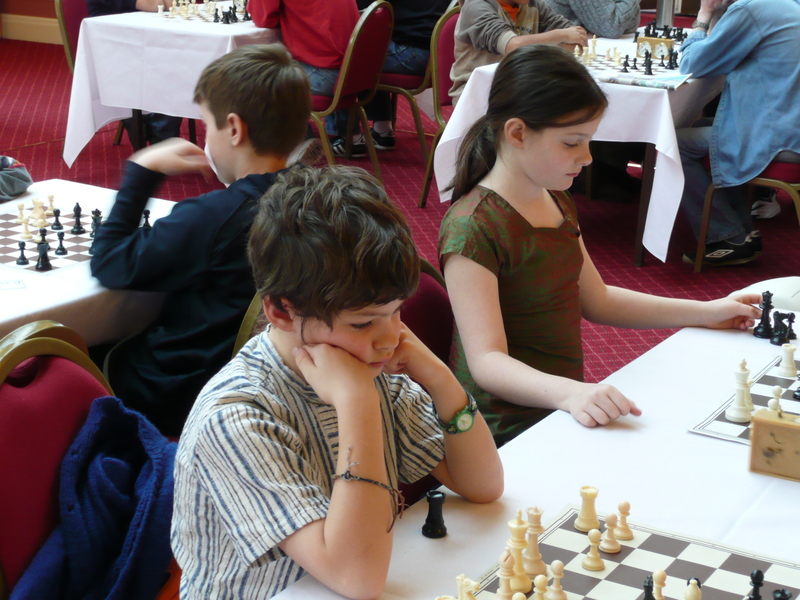 ABCD Meeting, Arran, 9—11 September 2014. ICFP 2014, G�teborg, 1—6 September 2014. Erlang, workshop colocated with ICFP, G�teborg, 5 September 2014, program committee. BEAT, workshop colocated with CONCUR, Rome, 1 September 2014, program committee. Advances in Programming Languages, Heriot Watt, 19—22 August 2014, lecturer. Summer School on Trends in Computing (SSTiC), Tarragona, 7–11 July 2014, keynote speaker. BETTY Summer School, Lovran, Croatia, 30 June–4 July 2014, instructor. Software Contracts for Communication, Monitoring, and Security, NII Shonan Meeting, Shonan Village, 26–30 May 2014, co-organizer (slides of blame tutorial). CoCo, Loch Lomond, 8 May 2014 (slides on ABCD). ESOP, Grenoble, 7–11 April 2014, program committee. Functional Programming eXchange, London, 14 March 2014, invited speaker. Off the Beaten Track (OBT), co-located with POPL, San Diego, 2014, program committee. Programming Language Mentoring Workshop (PLMW), co-located with POPL, San Diego, 2014, invited speaker, plmw-sandiego.pdf. YOW! 2013 Australia Developers Conference, Melbourne 5—6 Dec, Brisbane 9—10 Dec, Sydney 12—13 Dec 2013, keynote speaker. Slides: monads-haskell.pdf, monads-scala.pdf, dsl-long.pdf, dsl-short.pdf. SAPLING, Sydney, 16 Dec 2013, keynote speaker. ScalaSyd, Sydney, 11 December 2013, atlassian.pdf. Functional Programming with the Stars, Brisbane, 7 Dec 2013, invited speaker. Programming Languages Workshop, University of Melbourne, 4 Dec 201, invited speaker. Workshop on Secure Cloud and Reactive Internet Programming Technology (SCRIPT) Vrije University, Brussels, 12—13 Nov 2013, invited speaker. FP Days, Cambridge, 24 Oct 2013, keynote speaker. Colin Runciman Celebration, York, 23 Oct 2013, keynote speaker. ICFP 2013, presenting A practical theory of language-integrated query. DBPL 2013, Trento, 30 Aug 2013, program committee. International Summer School on Trends in Computing (SSTC 2013), Tarragona, 22–26 July 2013, invited lecturer. Fourth Annual Scala Workshop, Montpellier, 2 July 2013, keynote speaker. Midlands Graduate School in the Foundations of Computing Science, 8–12 April 2013, invited lecturer (Topics in Lambda Calculus and Life). Data Driven Functional Programming (DDFP), workshop at POPL, 22 January 2013, keynote speaker (The essence of language-integrated query). Programming Languages Mentoring Workshop (PLMW), workshop at POPL, 22 January 2013, invited lecturer (You and Your Research and The Elements of Style). Tech Mesh, London, 4–6 December 2012, keynote speaker plus Faith, Evolution, and Programming Languages. The essence of language-integrated query, draft paper, 1 December 2012. Propositions as Sessions, ICFP, Copenhagen, 10–12 September 2012. SICSA Conference, 20–22 June 2012, keynote speaker, slides. Summer School on Types and Programming Languages, St. Andrews, invited speaker, Well-typed programs can't be blamed, slides. PLDI, Beijing, 11–13 June 2012, to chair SIGPLAN EC. Took a Wild Wall Hiking Tour with Stretch-a-leg. The future of functional programming languages, Robin Milner Symposium, 16 April 2012, panel chair. Faith, Evolution, and Programming Languages QCon, London, 9 March 2012 (video). POPL, Philadelphia, 25–27 January 2012, to chair SIGPLAN EC. Foundations of Scripting Languages, Dagstuhl, 2–6 January 2012. Course lecturer, Integrating Static and Dynamic Types Systems, 28–29 October, 2–3 December 2011, University of Warsaw, slides. The key to blame: Gradual typing meets cryptography, Jeremy Siek and Philip Wadler. Draft paper, March 2016, updated July 2016. Everything Old is New Again, Shayan Najd, Sam Lindley, Josef Svenningsson, Philip Wadler. PEPM, January 2016. 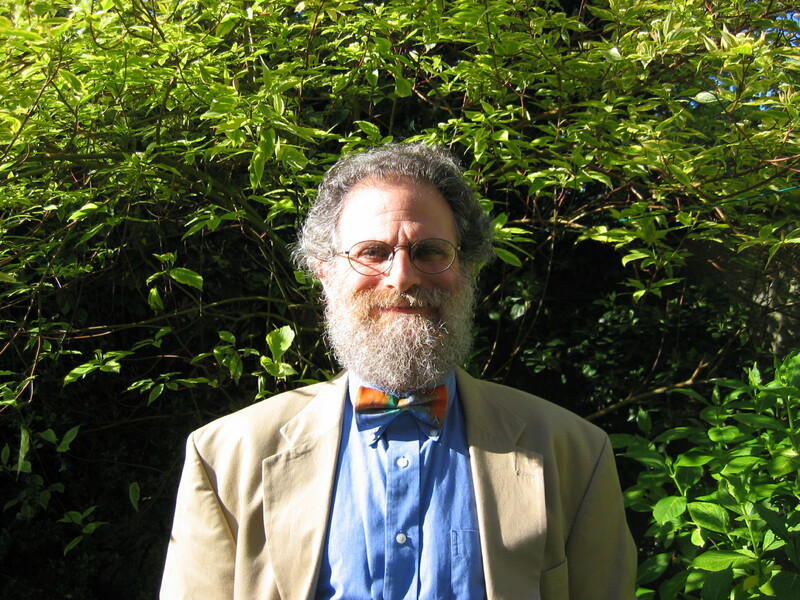 Propositions as types, Philip Wadler, CACM, December 2015. Blame and coercion: Together again for the first time, Jeremy Siek, Peter Thiemann, Philip Wadler. PLDI, June 2015. A complement to blame, Philip Wadler, SNAPL, May 2015. The Implicit Calculus: A New Foundation for Generic Programming, Bruno C. D. S. Oliveira, Tom Schrijvers, Wontae Choi, Wonchan Lee, Kwangkeun Yi, Philip Wadler. Draft paper, 2014. Propositions as sessions, Philip Wadler, Journal of Functional Programming, Best papers of ICFP 2012. Blame, coercions, and threesomes, precisely, Jeremy Siek, Peter Thiemann, and Philip Wadler, draft, March 2014. (Superseded by Blame and coercion: Together again for the first time). A practical theory of language-integrated query, ICFP, Boston, 25–27 September 2013. You and Your Research and The Elements of Style, PLMW, Rome, POPL, 22 January 2013. Church's Coincidences, Turing Centenial Celebration at Princeton, 10–12 May 2012, invited speaker. Blame for All, POPL 2011. Threesomes, with and without blame, POPL 2010. The RPC Calculus, PPDP 2009. Blame for all, STOP 2009. Threesomes, with and without blame, STOP 2009. The essence of form abstraction, APLAS 2008. Idioms are oblivious, arrows are meticulous, monads are promiscuous, MSFP 2008. The arrow calculus (Functional pearl), Submitted to ICFP 2008. Well-typed programs can't be blamed, Submitted to ICFP 2008. An idiom's guide to formlets, Submitted to ICFP 2008. Signed and sealed, Submitted to ICFP 2008. A located lambda calculus, Submitted to ICFP 2008. Aspect-Oriented Software Development (AOSD 2008), 2–4 April 2008, Brussels (keynote). Presented Well-typed programs can't be blamed. Well-typed programs can't be blamed, Scheme workshop, ICFP, Freiburg, 30 September 2007. Comprehensive comprehensions, Haskell workshop, ICFP, Freiburg, 30 September 2007. Links: Web Programming Without Tiers, invited talk, FMCO, Amsterdam, 9 November 2006, NICTA, Melbourne, 2 February 2006, and PADL, Charleston, 9 January 2006. Faith, Evolution, and Programming Languages, invited talk, OOPSLA, Portland, 26 October 2006. You and Your Research, my attempt to channel R. W. Hamming in a talk for postgraduate students at Firbush retreat. Here is a transcript of Hamming's original talk. Call-by-value is dual to call-by-name, Reloaded Invited talk, Rewriting Techniques and Applications (RTA), Nara, April 2005. The unreasonable effectiveness of logic, inaugural lecture, University of Edinburgh, 16 November 2004. Down with the bureaucracy of syntax! Pattern matching for classical linear logic, manuscript, April 2004. The Girard-Reynolds Isomorphism (second edition), manuscript, March 2004. XQuery from the Experts, published by Addison-Wesley, 29 August 2003 (contributor). Call-by-value is dual to call-by-name, ICFP, Uppsala, Sweden, 25-29 August 2003. Preliminary version: NJPLS, AT&T Labs, Florham Park, 21 February 2003. A Prettier Printer, In The Fun of Programming, A symposium in honour of Professor Richard Bird's 60th birthday, Examination Schools, Oxford, 24-25 March 2003. University of Utah Evans and Sutherland Distinguished Lecture, 20 November 2002. The Essence of XML, POPL 2003, New Orleans, January 2003. Preliminary version: FLOPS 2002, Aizu, Japan, September 2002 (invited talk). The Great Type Hope. Erlang Workshop, Pittsburgh, October 2002 (invited talk). XQuery, a typed functional language for querying XML, Advanced Functional Programming, Oxford, August 2002. XQuery tutorial, XML 2001, Orlando, December 2001 (tutorial). Et tu, XML? The fall of the relational empire, VLDB 2001, Rome, September 2001 (keynote). MSL: A model for W3C XML Schema, WWW01, Hong Kong, May 2001. From Frege to Gosling, Alan J. Perlis Symposium, Programming Languages: Theory Meets the Real World, Yale University, 27 April 2000 (invited talk). 19'th Century Logic and 21'st Century Programming Languages, Dr Dobbs, December 2000. Citations of my work on Google Scholar, Microsoft Academic Search, Citeseer. Google ranks my h-index at 60 (September 2013). I appear at position 6 in a list of most acknowledged researchers. Bibliography at DBLP and Edinburgh Research Explorer. Jakub Zalewski (PhD), starting fall 2015, enrolled in Centre for Doctoral Training in Pervasive Parallelism. Simon Fowler (PhD), started fall 2014, enrolled in Centre for Doctoral Training in Pervasive Parallelism. Jack Williams (PhD), started fall 2014, recipient of a Microsoft Research PhD Scholarship. Shayan Najd (PhD), started fall 2013, recipient of a Google European Doctoral Fellowship. Ben Kavanagh (PhD), started 2004, currently working with James Cheney, blog, wiki. Sky Welch (UG4) Fractal Maps (Android, improved from Corbett). Alasdair Corbett (UG4) Mandelbrot Maps (Android). Taige Liu (MSc) Mandelbrot Maps (revised from Mallia). Edward Mallia (MSc) Mandelbrot Maps (improved from Parris). John Simpson (MSc) A graphical functional language. Dave Yeo (UG4), blog, new honeypot, old honeypot. Postgraduate study at Edinburgh. Centre for Doctoral Training in Pervasive Parallelism, deadline 27 January 2014. Studentships on From Data Types to Session Types: A Basis for Concurrency and Distribution. 2013/14–current: Types and Semantics of Programming Languages (introductory video). Journal of the ACM (JACM) (area editor, Programming Languages). Journal of Object Technology (JOT) (editorial board). Functional Programming in the Real World (list maintainer). Journal of Functional Programming (JFP) (former member of editorial board, former editor-in-chief). ACM Special Interest Group in Programming Languages (SIGPLAN) (past chair, former member of executive board). SIGPLAN Notices (former editor, functional programming column). Please submit to the above! Here are some unusual application of my work. Please let me know of others! Linguistic side effects, by Ken Shan cites my work on monads. The scope of alternatives and A modular theory of pronouns and binding by Simon Charlow cite my work on monads. A Lambda Calculus for Quantum Computation and Quantum Computation, Categorical Semantics and Linear Logic, by Andre van Tonder cites my work on linear logic. Structuring quantum effects: superoperators as arrows, by Juliana Vizzotto, Thorsten Altenkirch, and Amr Sabry, relates quantum computing to monads and arrows. A linear-non-linear model for a computational call-by-value lambda calculus, by Peter Selinger and Benoit Valiron, relates quantum computing to both linear logic and monads. The Arrow Calculus as a Quantum Programming Language, by Juliana Kaizer Vizzotto, Andre Rauber Du Bois, and Amr Sabry, is based on my work with Sam Lindley and Jeremy Yallop on The Arrow Calculus. On providing declarative design and programming constructs for scientific workflows based on process networks, by Bertram Ludascher and Ilkay Altinas, models workflow on a grid for eScience applications with Haskell. The Semantics of Jitter in Anticipating Time Itself within Nano-Technology, by Michael Heather, Nick Rossiter, and Dimitris Sisiaridis, cites my work on monads. The proof monad, by Florent Kirchner and Cesar Munoz, applies monads to support computational features of proof languages, such as side effects, exception handling, and backtracking. Pragmatic phenomenological types, by Ted Goranson, Beth Cardier, and Keith Devlin, cites my work with Sam Lindley and Jeremy Yallop on The Arrow Calculus. A request: please avoid scheduling events on Shabbat, Rosh Hasanah, Yom Kippur, Sukkot, Chanukkah, Purim, and Passover. Holiday dates for the next five years. I am a member of Sukkat Shalom, the Edinburgh Liberal Jewish Community, Jews for Justice for Palestinians, and Scottish Jews for a Just Peace. Three ways to improve your writing. Also see Tips for Formal Writing from my colleague Jim Bednar. James Harland lists reasons to never say never. John Baez argues academics should not provide free work for Elsevier or other high-priced journals. UKCRC's evidence to Parliament regarding electronic voter registration contains useful general information on building dependable systems. Comments on the American election and www.sorryeverbody.com. Science Commons encourages scientific innovation by working within current copyright and patent law to promote legal and technical mechanisms that remove barriers to sharing. Oscar Nierstrasz advises on organizing a program committe in Identify the Champion. The paper is over-heavy in the jargon of design patterns, but the more experience I have with the ABCD ranking, the more I like it. Some of my colleagues at other universities do not work under the best of conditions. Lecturer quits to become plumber. Engineers applauded theoretical computer science when they found out What really happened on Mars? Dave Clark advises on How to complete a PhD. Paul Graham opines on how a programming language can grow in Being Popular. Malevole asks whether I am a Programming Language Inventor or Serial Killer? NewsScan provides an excellent daily summary of news relevant to the computing community. Want to do Nobel-class research? It's not just a matter of luck. Richard Hamming lays out the nuts and bolts of how to do so in You and Your Research. Peter Buneman presented me with a T-shirt summarizing The Evolution of Language. Mark Jones initiated and Graham Hutton maintains an excellent Functional Programming FAQ. Jon Hill maintains a Functional Programming Archive. Joe Armstrong offers words of advice based on his experience with Erlang. Don Smith penned a Haskell Lover's Plea. John Peterson concocted a story about Haskell at Microsoft. Here's a picture of Haskell's House. David Touretzky's Gallery of CSS Descramblers includes an application of the Curry-Howard isomorphism to circumvent copyright law. A micro version of my home page is engineered for search engines. I buy my cheese from Cheesee-peasee. 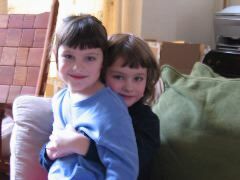 I am the father of Adam and Leora.